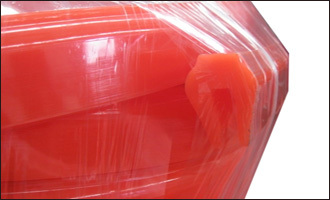 Besides traditional Capping rubber, we newly developed Polyurethane Capping. It is designed to protect the steel stringer bars supporting the screen cloths in vibrating screens. 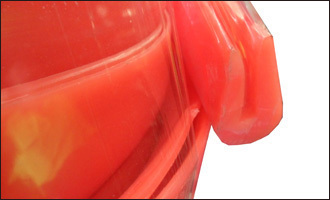 Polyurethane Capping has excellent ozone, wear and impact resistance. Comparing with Capping Rubber, the working life of Polyurethane type is 7 times longer. Polyurethane Stringer Bar Capping is made from a high-grade polyurethane compound, specifically designed to have excellent ozone, wear and impact resistance. We base our recommendations for this type of capping on the duty of the application and the stringer bar size. We manufacture polyurethane stringer bar capping in stock sizes to suit 6mm, 10mm, 12mm and 16mm bars, in lengths up to 15meter.